Ultimate Sound and Installations are experts in Audio Visual, Video, Security & Motorized Shading Systems for residential, commercial, corporate and design communities throughout NYC, NJ and New York Metro Area. Have a new home theater that needs installation? Awesome. Learn more about our fully Integrated Conference Rooms. Architects, Interior Designers, & Contractors. Ultimate Sound and Installations works together with you, architects, designers, contractors and developers to create the best integrated home automation systems and TV and sound installation for your residential or commercial needs. 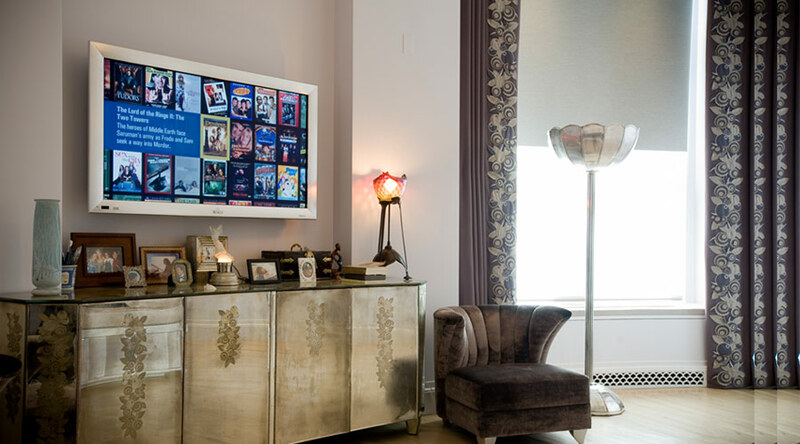 Our smart home systems give you the ability to easily control your electronic environment: all from one simple-to-use touch screen. Get a FREE Report on the 7 Tips to Hiring an AV Contractor in New York Area.